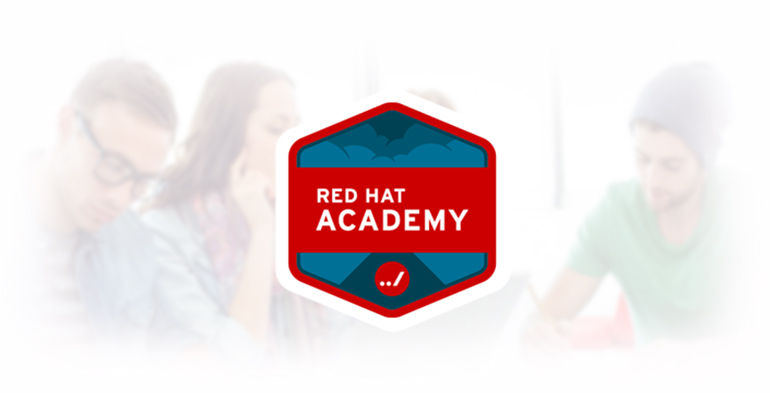 Red Hat ® Academy provides a curriculum to help education institutions keep pace with the demands of industry. The curriculum involves hands-on instruction across platform, middleware, and cloud technologies built with input from Red Hat development, support, and field consulting teams. Unlike a generic “distribution agnostic” Linux ® curriculum, Red Hat’s curriculum is based on Red Hat Enterprise Linux, the leading enterprise Linux platform. Rather than learning theoretical skills, students learn practical skills based on use cases from thousands of enterprise implementations. At Red Hat, we believe that closing the technology skills gap is vitally important to the future of enterprise software—and the opportunity to do so should be available to all. That’s why we’ve made Red Hat Academy accessible to as many qualified academic institutions as possible. Eligibility is for nonprofit institutions or those that grant degrees, certificates, or diplomas. In Red Hat Academy program Spectrum Softtech Solutions PVT LTD partners with academic institutions to offer top-quality education programs on Red Hat technologies to help students reach their academic and career potential. No-cost membership to qualifying universities/institutions, with easy online program enrollment. Industry-leading curriculum that includes Linux, cloud, and middleware to help students acquire cutting-edge, job-relevant IT skills. Discounted Red Hat exams for instructors and students. Multiple student courseware formats that include e-book, printed, or HTML. Flexible lab options to help academies accommodate their students. Instructor training through no-cost Red Hat Video Classroom Courses. Globally standardized materials available through the new web-based Academy portal and order process. Global availability of content in up to 9 languages.